A palindrome number is a number that remains the same when its digits are reversed. It is "symmetrical", like 12321. Palindrome numbers receive most attention in the realm of recreational mathematics. A typical problem asks for numbers that possess a certain property and are palindromic. 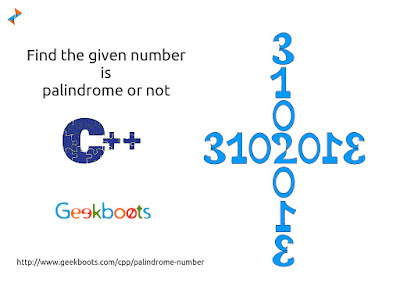 Using power of C++ find the user given number in palindrome or not.